I just got X6 this morning, listened to it and was actually surprised with how good it sounds. So I came here searching for measurements and realized they're one of the worst I recently saw... But it actually sounds very close to D30, maybe not as good but damn close. And this treble roll-off doesn't bother me because I can still hear all of the tiny atmospheric details, just not as pronounced as with some Toppings. I can still hear up to 18.5 KHz and I hate sharp noisy highs much more than rolled off highs. I'm going to give it another spin in the evening, that's when I'm at my best mood for listening. But initial impression is really good. I used one of these at my previous office for years. It hit a sweet spot of price/performance for that environment. Enough ambient sound that better performance would be irrelevant, and cheap enough that I don't think twice about leaving it there unattended. As pure DAC it is good, its linear out has linear freq response (when u feed it 96Khz resampled, 44 and 48 are rolled off). Its headphone amp rolls off no matter what. And USB input is glitchy. And u need better power supply. Fyi, I've switched from the Dac-X6. I found my laptop onboard actually had better mid's and high's. For the price yes it is quite incredible as you get an excellent case and plenty of juice to power HD6XX, but the clarity just wasn't there. I tried another power brick from an old wifi router, and noticed no difference. I was just using USB however as I wanted to bypass my onboard laptop dac. As just a dac it might be better? How much linearity do we need until it becomes inaudible? My measurements of RCA output and coaxial input. Do you know which one is newest and better version? I have found version from picture 2 10$ cheaper than 1 in Aliexpress but it does not have to mean that 1 is better and newer. Why do you need this device? USB is bad here, coaxial/optical input not so bad. If you want cheap DAC - try SMSL M3. Much better implementation. M3 may have a flat frequency response after some upgrade with solder iron. I have a DAC X7 (the model just after the X6) at home and measured it. There's a +30° phase shift between 1 kHz and 10 kHz. The impulse response is also strange. Here is the graph for the X7 and also the Topping D10 impulse for a comparison. Doesn't it look like a minimal phase impulse VS a linear phase impulse? (measurements made via a Scarlett 2i4 2nd Gen and REW). More important: it does not sound good to my ears. Harsh and messy with voices (even level and FR-matched). I'd be very curious to have your review of it, Amirm. Be careful: I've read somewhere that there could be different versions of the DAC X7, as it could be the case for the X6. I have red many reviews and I believe it is quite good for such a low price - especially using with more powerful and better power supply. SMSL M3 is powered via USB, in my opinion it can not work properly, especially with headphones harder to handle. On Amazon for around 10 you can buy 12V 6A (or 3A. still better than supplied 12V 1A). I did buy a new stronger power supply and it helped with both headphone and linear output quality (subjectively). Indeed, many users claims that better and stronger power supply changes everything in this DAC/amp. There are different opinions about the type of power supply. Some claims that AC (12-15V, up to 3A) is even better than DC. I am wondering if it indeed could be AC (even though there is a DC symbol next to the socket), because I have high quality AC 12V 3A. There are many devices powered by USB and which can handle plenty of headphones. Apogee Duet for example. It would make AKG K701 blow at half volume. Yes, but everything depends on you hardware, USB power tends to be unstable. 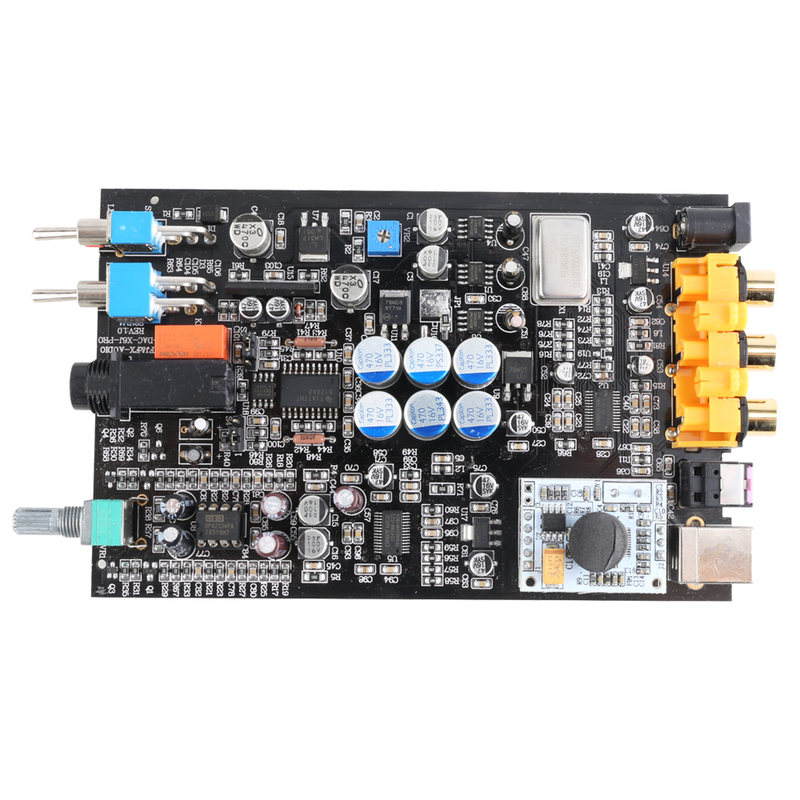 For now I would like to know if FX-Audio Dac is AC/DC or only DC.